Drive.ai began service in Frisco, Texas, three months ago on a single route. Now, the startup's bright orange vans will offer rides to the public on more elaborate routes in Arlington, including near AT&T Stadium and restaurants. Three months after launching its inaugural self-driving service, Silicon Valley startup Drive.ai has wasted little time finding a second location in which to deploy its bright orange vans. The company commenced service in Arlington, Texas, on Friday, Oct. 19, deploying three vehicles to serve multiple routes that connect professional sports venues, a neighborhood filled with restaurants and the city's convention center. Federal grants and the City of Arlington are funding the yearlong project. 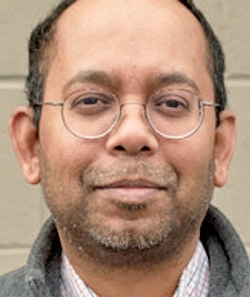 Though financial terms were not disclosed, Drive.ai CEO Bijit Halder said the deal was a sign that cities and transportation authorities are willing to experiment with — and pay for — autonomous services that give riders options for navigating downtown corridors. "The revenue component is a real-world proof point that this makes sense for people on the ground," he told Automotive News. "We see our model is comfortable for our partners and very concrete when it comes to our partners' ability and willingness to pay for this service. This shows that collaboration with local partners really works." Rather than sell vehicles equipped for self-driving operations to customers, Drive.ai offers turnkey service in which it maintains ownership of its vehicles and handles oversight and maintenance of the fleet. Human safety drivers remain behind the wheel. The company was founded three years ago by members of Stanford University's Artificial Intelligence Lab. 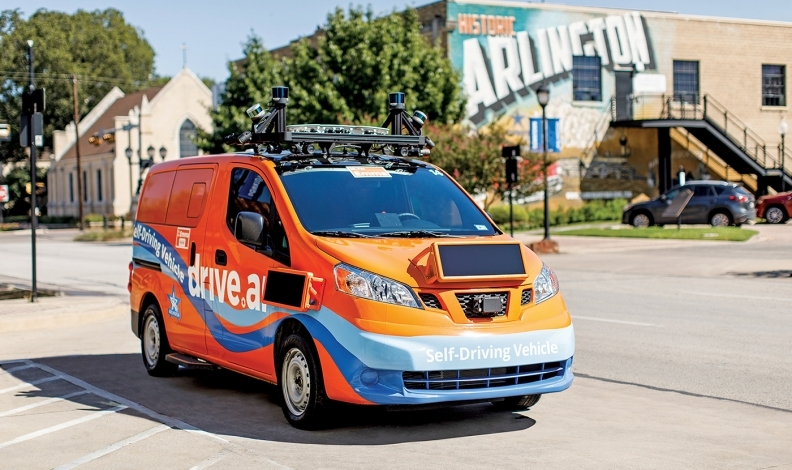 Be they automated shuttles or retrofitted Nissan NV200 vans, such as the ones used by Drive.ai, vehicles that run along fixed routes in geofenced areas are among the first applications of self-driving technology to hit the road in both pilot projects and commercial service. Similar services are offered or planned by competitors including May Mobility and Navya in places such as Detroit, Las Vegas and Columbus, Ohio. These are still the early days, but the race to deploy and scale is intensifying. Texas is a popular location for pilot projects and initial service. In 2017, state legislators enacted a law that cleared the way for autonomous vehicles on public roads so long as they comply with traffic laws. Since then, the business-friendly state has embraced autonomy. "I think it comes down to the fact we're growing rapidly, and we have finite resources for transportation infrastructure," said Tom Bamonte, senior program manager for automated vehicles at the North Central Texas Council of Governments, an organization that serves as a matchmaker of sorts between interested communities and autonomous vehicle developers. "We want to be at the forefront of exploring new mobility options. It really is a practical-minded focus on 'Can we supply more mobility for more people at less cost and do it safely?' "
Bamonte was among those who helped entice Drive.ai to start its service in the region, which took off in July in the Dallas suburb of Frisco. There, Drive.ai's vehicles connect workers in a sprawling office park to a nearby restaurant and shopping center. If that single-route project has allowed the company to demonstrate its basic competence, the new one in Arlington will test its mettle. Operating along multiple routes and navigating near dense crowds of pedestrians emerging from places such as AT&T Stadium, home of the Dallas Cowboys, will make the project more elaborate than Drive.ai's first offering. "With game-day services, the complexity and nature of the problem is different," said Halder, who joined the company in March and took over as CEO last month as former CEO Sameep Tandon stepped into a tech-focused role in the company. "In Frisco, our office, we have repeat customers and they know the service intimately," Halder said. "Game-day service, it's a more transitory population. But we can prove our skill. As a company, our goal is to solve problems in the real world, not just showcase the technology. We are solving a problem where people need it." Broadly, such deployments are no longer rare occurrences, with Waymo starting its Early Rider Program in the Phoenix area and Lyft offering autonomous rides to customers of its ride-hailing service in Las Vegas, for two examples. But one of the more unusual aspects of Drive.ai's Arlington deployment is its public-facing nature. Anyone can hail a ride. Riders can either download the Drive.ai app or use kiosks at five dedicated stops along the routes to request service. 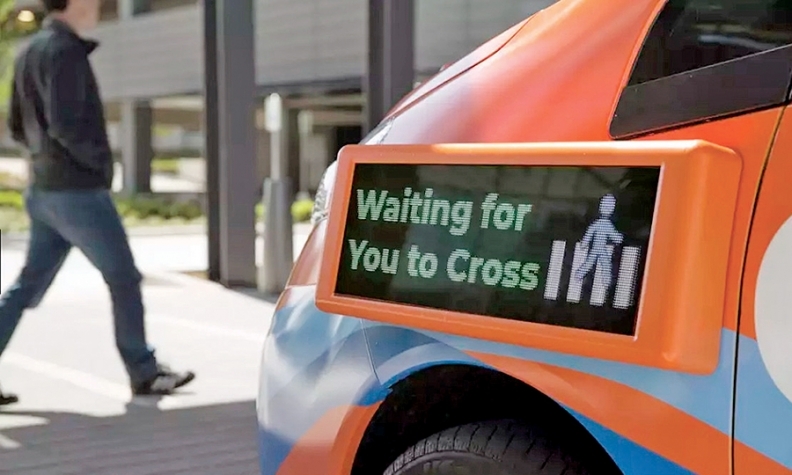 They'll know when the Drive.ai vans arrive: While other self-driving companies are taking steps to ensure their vehicles blend into the overall traffic environment, Drive.ai has painted its NV200s a bold orange because executives want the vehicles to command attention, with the idea that others in the traffic environment will grow accustomed to identifying them as self-driving vehicles and adapt to their presence. That position has generated some consternation among competitors working on self-driving technology. In August, Drive.ai board member and artificial-intelligence researcher Andrew Ng told Bloomberg the unpredictability of pedestrian movements could put a crimp in self-driving operations. "What we tell people is, 'Please be lawful and please be considerate,' " Ng said. Amid an ongoing industry conversation about how self-driving vehicles should best interact with other road users, those remarks have been taken to mean that other users, particularly pedestrians, need to change their behavior, rather than self-driving vehicles needing to seamlessly join the traffic environment. Halder offered a more detailed version of the company's position. "When Ford came along with the Model T, we didn't have cars before, so we changed our modality of how we walked down the road," he said. "What I think Andrew meant is that as we change, we're operationally designing toward human comfort, and as people get more comfortable, they'll behave differently than they would around a human." Whether a similar generational shift lies ahead remains to be seen. But with Drive.ai service now running among prominent venues, Arlington will be among the first to provide insight and answers.